Stores reference 22c/930. 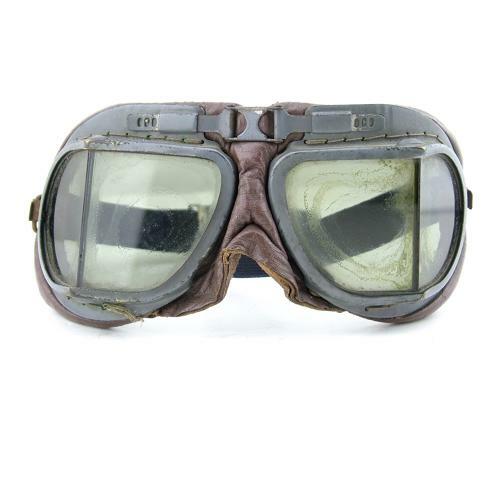 This is a pair of post WW2 production MK.VIII goggles. The frames are generally good with only light rubbing and minor paint loss on exposed edges. The leather surround is also good and the suede backing has average even soiling. Fitted with tinted lenses, one cracked and both with delamination marks. The strap is a more modern replacement in very good condition. Reasonable overall used condition. Stock code G14638.